A statement staircase can completely transform the look and atmosphere of a home’s interior and curb appeal. At Phil Kean Design Group, our international architects understand the statement a notable feature can make and know how to maximize the impact of a commanding stairway while maintaining design balance. Merging art and architecture, we design elements that create a “Wow” factor while serving a functional purpose. Several of our most innovative floating staircases have recently been featured in curated collections of outstanding design work. Within these installations, our team of modern architects and contemporary interior designers infuse thoughtful and captivating elements into the overall look, including those discussed below. 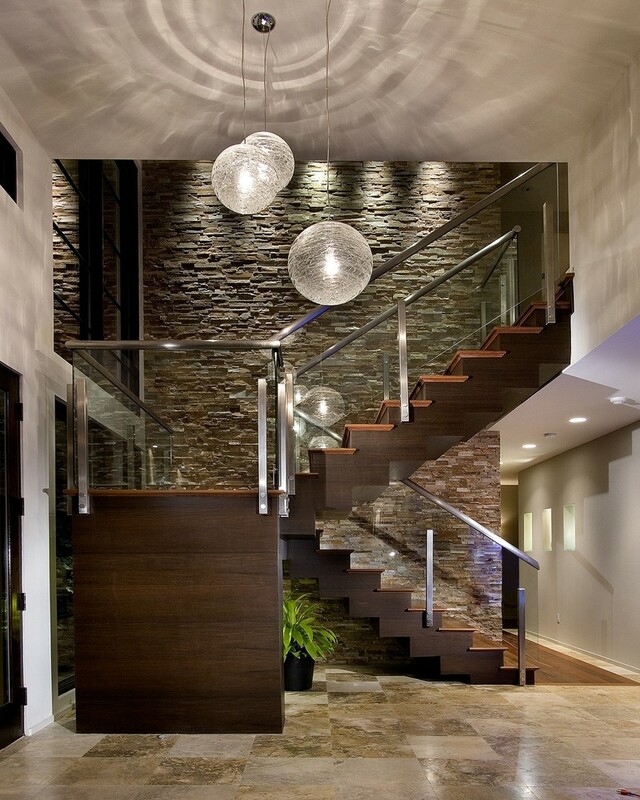 Whether it’s a combination of glass and wood, stone and metal, or any other strategic pairing, contrasting materials add interest, depth and an overall sophisticated look to staircase design. Effortlessly cool and contemporary, a minimalist design instantly gives a room an urban boost. Mix in natural wood tones and the ultra-modern scene gains an incomparable organic appeal. There are not many things quite as striking as a spiral or curved staircase. Combining the intricacies of a curved design with the bold look of a floating installation, these stairs provide an ornate appeal to the rooms they reside in. 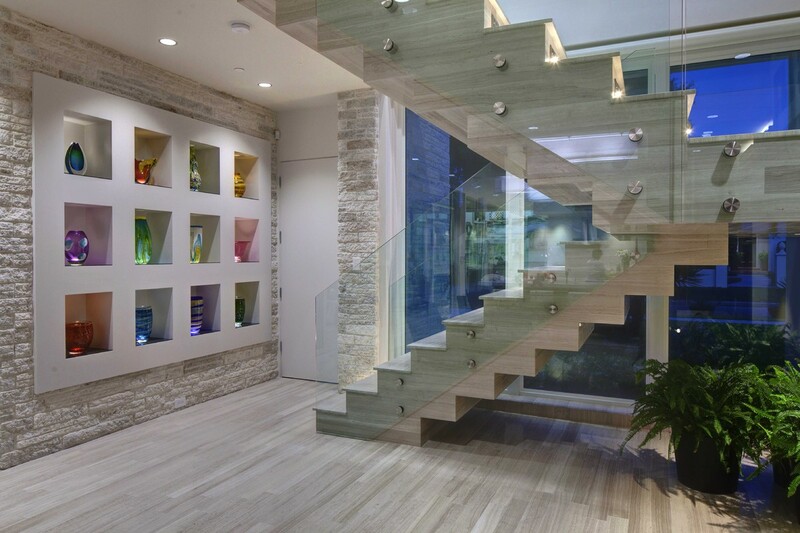 To view additional contemporary and floating staircase designs, visit our online portfolio.